Compatible with Facebook, Instagram & Twitter UGC (User Generated Content). Moderate & Edit content through human analysis instead of algorithmic filtering. More effective strategy to identify competitors and negative sentiments. Cost-efficient way to implement a real-time social media engagement on your digital sign. Simple reliable turnkey solution – No software to install. 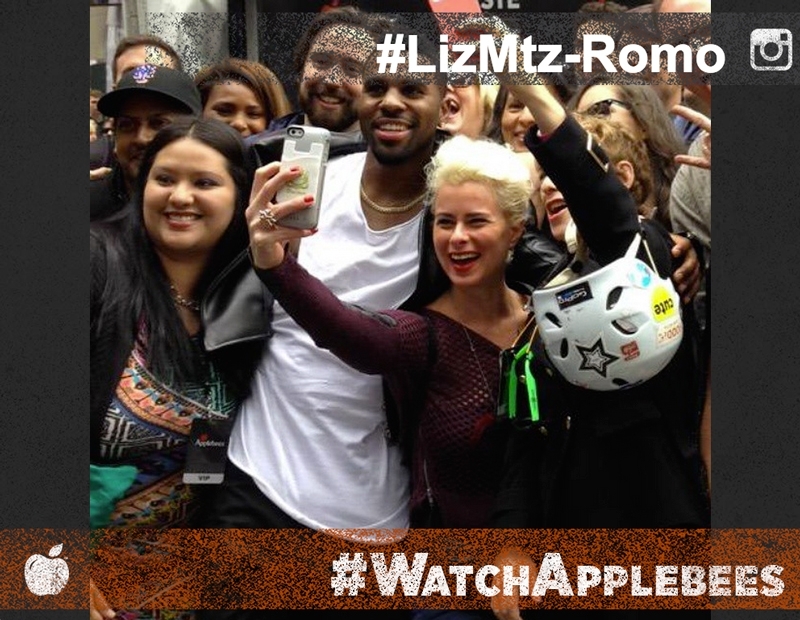 Applebee’s launched it’s new menu on May 13, 2015 with free food, live music and a social media takeover of 12 of the famed Times Square billboards. 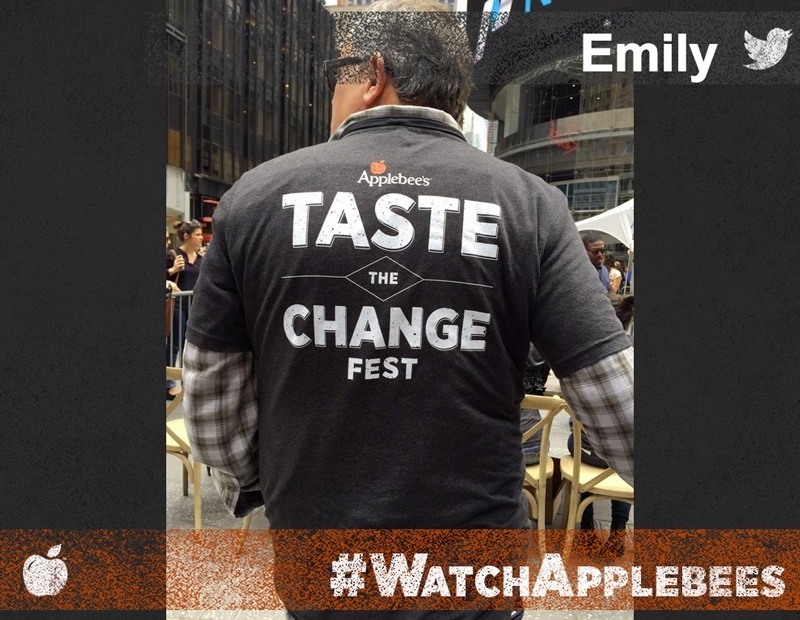 Applebee’s Neighborhood Grill & Bar® invited guests across the country to sample and celebrate its new menu at a Times Square street party that included several surprise, special-guest performances. Tagged tweets of guests who couldn’t make it were broadcast on the billboards in Times Square – including ABC and Reuters – from 11am to 4pm on May 13. They can also be seen here. 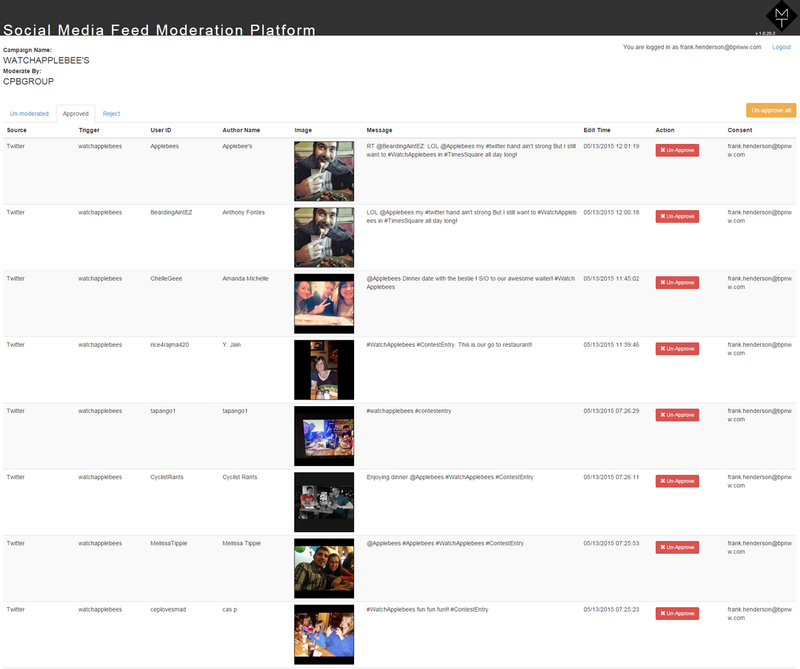 The customizable Moderation Tool allowed Applebee’s to moderate incoming tweets and make it ready for public display. Participants could tweet about the event or post pictures of themselves enjoying the new meals. If the content was approved by moderators, users would see their photos and tweets on many of the signs throughout Times Square. It was truly a Times Square Takeover in that signs from as far north as 49th street to as south as 40th street featured Applebee’s content, dynamic and event specific. A customized social media campaign featuring moderated user-generated content for multiple Times Square Signs. Let us know about your next event and our representative will find a solution that works for you. The objective of the moderation tool was to provide custom real-time moderation for outdoor interactive campaigns in Times Square. It has evolved into a tool that can be used in in-store digital signage and also for live events. Let us know your next event and our representative will get in touch with a solution that works for you.